Michael Sheen as BP’s Tony Hayward? 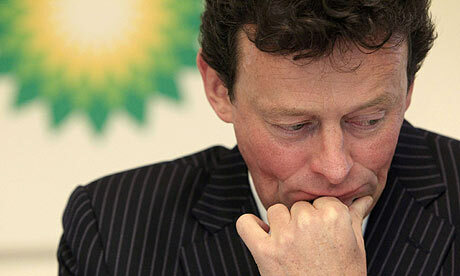 Now that Tony Hayward, affectionately known as the “most hated man in America,” has been removed from his post of Chief Executive of BP and been handed a non-executive director position at BP’s Russian joint venture, TNK-BP, he’s far enough away out of the media spotlight for film executives and scribes to rustle up some magic about the man and the PR nightmare that is Tony Howard. And who better to play him than chameleon-like British actor, Michael Sheen. Sheen has been fortunate in his acting career to resemble an eclectic bunch of British movers and shakers. He’s played football manager Brian Clough, journalist David Frost and the British Prime Minister Tony Blair, not once but three times. Comic-Con 2010 kicks off in San Diego on July 21st with a special preview night and starts for real on July 22nd to July 25th. 1:00-2:00 – Sony Pictures Entertainment: Battle: Los Angeles and Salt — Two great new films from Sony Pictures Entertainment are showcased in this Hall H presentation! Battle: Los Angeles–When unknown forces suddenly and mercilessly attack the City of Angels out of nowhere, it’s up to a local Marine staff sergeant (Aaron Eckhart) and a new platoon of unseasoned soldiers to meet the threat. As the invasion hits the streets of LA, these Marines become our first and last line of defense in an intense battle against an enemy unlike any they’ve ever encountered before. Appearing in person are Michelle Rodriguez, Aaron Eckhart, Neal Moritz, and director Jonathan Liebesman. 4:00-6:00 – Sony Pictures Entertainment: The Other Guys and The Green Hornet — Two more sneak peeks at upcoming films from Sony Pictures Entertainment! The Other Guys–NYPD Detectives Christopher Danson and P.K. Highsmith (Dwayne Johnson and Samuel L. Jackson) are the baddest and most beloved cops in New York City. Two desks over and one back, sit Detectives Allen Gamble (Will Ferrell) and Terry Hoitz (Mark Wahlberg). You’ve seen them in the background of photos of Danson and Highsmith, out of focus and eyes closed. They’re not heroes — they’re “the Other Guys.” But every cop has his day and soon Gamble and Hoitz stumble into a seemingly innocuous case no other detective wants to touch that could turn into New York City’s biggest crime. It’s the opportunity of their lives, but do these guys have the right stuff? Will Ferrell, Mark Wahlberg,Eva Mendes, and co-writer/director Adam McKay will be appearing in person. 11:45-1:15 – Warner Bros: Green Lantern, Sucker Punch, and Harry Potter and the Deathly Hallows — Warner Bros. showcases three eagerly awaited upcoming new films in this Hall H presentation! Green Lantern–Get a first look at the upcoming sci-fi action adventure Green Lantern, directed by Martin Campbell. Green Lantern is an epic adventure that crosses galaxies to bring to life the legendary Silver Age superhero Hal Jordan, who is chosen by the ring itself to become the first human member of the Green Lantern Corps and take on the vast and powerful Parallax as it threatens to destroy the world. The film stars Ryan Reynolds as Hal Jordan, Blake Lively as Carol Ferris, Peter Sarsgaard as Dr. Hector Hammond, and Mark Strong as Sinestro. 4:45-5:45 – Universal: Paul and Cowboys & Aliens — Universal presents two upcoming films in this exclusive Hall H presentation. Paul– Scheduled to appear for Universal Pictures’ sci-fi comedy-adventure Paul are a who’s who of film comedy. Director Greg Mottola (Superbad) will be joined by cast members Simon Pegg (Hot Fuzz), Nick Frost (Shaun of the Dead),Kristen Wiig (Date Night), Bill Hader (Forgetting Sarah Marshall), Jeffrey Tambor (The Hangover), Joe Lo Truglio (Role Models), Seth Rogen (The Green Hornet), and Sigourney Weaver (Baby Mama) as they discuss the movie about two sci-fi geeks whose pilgrimage to Comic-Con ultimately takes them to America’s UFO heartland. While there, they accidentally meet an alien who takes them on an insane road trip that alters their universe forever. Q&A session to follow. 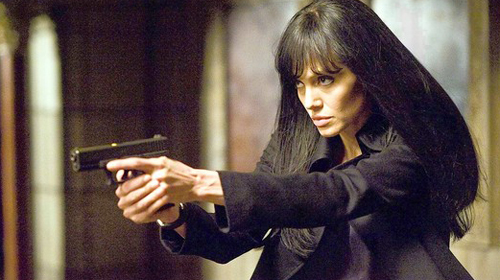 “The Academy of Motion Picture Arts and Sciences’ Nicholl Fellowships in Screenwriting competition has received 6,304 entries for 2010, including first-time entries from Azerbaijan, Barbados, Bosnia-Herzegovina, Cameroon, Uganda and Uruguay. The Academy will award up to five fellowships of $30,000 each in November. This year marks the competition’s 25th anniversary. The Nicholl Fellowships competition is open to screenwriters who have not earned more than $5,000 writing for film or television. Entry scripts must be feature length and the original work of a sole author or of exactly two collaborative authors. The scripts must have been written originally in English. Adaptations and translated scripts are not eligible. This year, entries have come from all 50 states in the U.S., as well as from Australia, Austria, Azerbaijan, Bahamas, Barbados, Belgium, Bosnia-Herzegovina, Brazil, Brunei, Cameroon, Canada, China (including Hong Kong and Taiwan), Colombia, Costa Rica, Croatia, Cyprus, Denmark, Egypt, Finland, France, Germany, Gibraltar, Greece, India, Iran, Ireland, Israel, Italy, Japan, Kenya, Lebanon, Malaysia, Malta, Mexico, Netherlands, New Zealand, Nigeria, Norway, Philippines, Poland, Puerto Rico, Russia, Singapore, Slovakia, Slovenia, South Africa, South Korea, Spain, Sweden, Switzerland, Thailand, Trinidad and Tobago, Uganda, Ukraine, United Arab Emirates, United Kingdom and Uruguay. Since the program’s inception in 1985, 113 fellowships have been awarded. Several past Nicholl fellows have gone on to successful screenwriting careers, including Oscar®-nominee Susannah Grant (“The Soloist, “ “Charlotte’s Web” “Erin Brockovich”), Doug Atchison (“Akeelah and the Bee”), Mike Rich (“Radio,” “The Rookie,” “Finding Forrester”), Ehren Kruger (“Transformers: Revenge of the Fallen,” “The Ring,” “Arlington Road”) and Andrew Marlowe (“Hollow Man,” “Air Force One,” ABC Television’s “Castle”).